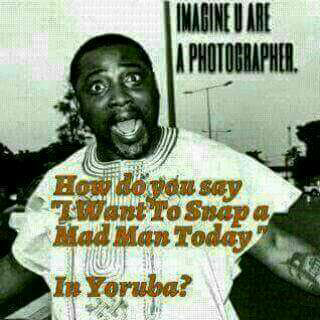 Imagine you're a photographer, how do you say: "I want to snap a mad man today" in Yoruba? lool. Oya tell us! Make use of the comment section below.